We believe that everyone has the right to be themselves and that this right is accepted by all. We want all of our children to have the opportunity to practise listening, learning and thinking about others in a respectful environment. Disagreement and debate are accepted as long as everyone is respectful when exploring diverse fails and world views. We believe that all of our pupils have the right to be heard and have a voice. We want our pupils to have the opportunity to examine different examples of codes for human life, including commandments, rules or precepts offered by different religious communities and be able to compare these with state law. 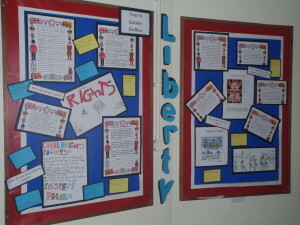 We want our pupils to learn that all people should be equal before the law. We want our pupils to think about themselves as individuals within particular cultural and social contexts and understand how cultural rules and pressures can affect them. We want them to consider the ways in which they have the freedom to make individual choices. 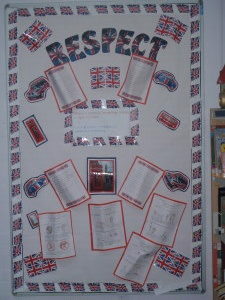 What do we do to promote British Values at Springfield Junior School? 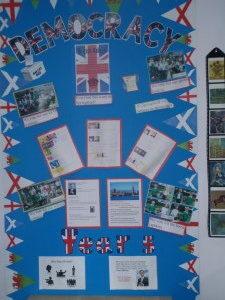 There are many things that we do in school to promote British Values, some explicit but others are less so. Indeed, our whole school ethos is based on values that we believe are fundamental for life. 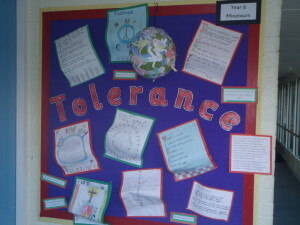 One of our school words is Respect and we firmly believe that it underpins everything we do in school; respect for each other, respect for ourselves as well as respect for the environment and belongings. Our other school words are Learning and Progress and again they are core to what we believe in school and actively promote. We want all of our pupils to have the best life chances possible through good learning opportunities which enable them to make lots of progress so they can enjoy a happy and successful life; regardless of what they choose to do in the future. Our lessons are wide and varied and aim to equip our pupils for a love of life-long learning. We actively encourage our pupils to ask questions and explore further whilst always maintaining respect for others and their beliefs. We encourage all children to achieve, regardless of their ability and encourage active participation whilst always being mindful of individual needs. Through assemblies, PSHE, RE and other curriculum lessons we explore what it means to be world citizens and how to cope with the demands of life but also how to enjoy and celebrate being part of an amazing world. Our School Council is a democratically elected body with 2 representatives from each class who meet every 2 weeks. 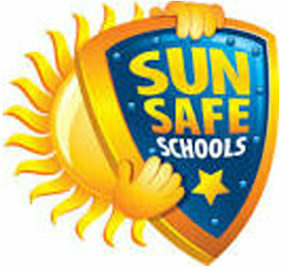 They discuss issues relevant to them and make decisions as well as taking a lead in many school activities. They have helped to interview new staff, organised lots of fundraising activities including the annual Children in Need day, looked into new play equipment amongst other things. 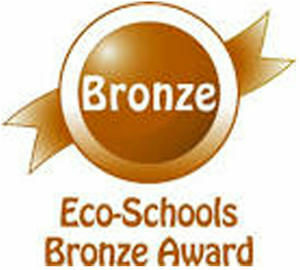 Our Eco-council also help to remind us of the importance of caring for the environment and encourage sustainability whilst our gardening club make the school look amazing and grow lots of flowers and vegetables. Our annual Harvest Festival celebration, nativity play, carol concert and Easter service are when we join up with our local church to enjoy traditional Christian services whilst in school we celebrate Diwali, Hanukah, Chinese New Year and many more. We also fit in traditional events such as our annual Pancake Day races and Easter Bonnet Parade as well as sports day and inter-house sports competitions. School trips help us to develop learning in the wider environment and one of our classes has recently developed links with a school in Italy as part of their topic. 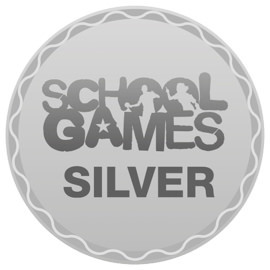 Anti-bullying is a major part of our work in school and we actively promote strategies to tackle bullying; acknowledged when we received an award in July 2015. 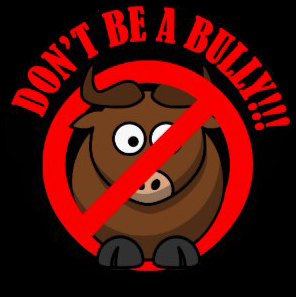 We take part in the annual Anti-bullying campaign. We encourage outside agencies and visitors to come into school to talk to our pupils including the police, fire service, health officials, NSPCC and local church group as well as organising theatre groups, inspirational authors and the like to come and work with us. As part of their topics our children have also welcomed local miners, a dentist, a visitor from Action Aid and an archaeologist amongst others. After-school clubs help to promote other skills and we are very proud of our annual participation in Young Voices and our school production as well as all of our sporting groups. Our school behaviour policy and award system are based on a fair and consistent approach in which all pupils are encouraged to take responsibility for their actions. Staff act as positive role models for children and focus on helping our pupils achieve their aims. We expect everyone in school to treat each other as they would wish to be treated themselves. Assemblies and lessons look at important events in the news and time is used to discuss and tackle issues. 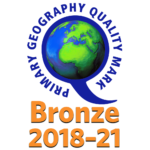 Black History Month materials are used widely in October and we also make sure that we help our children to explore historic events such as general elections, the anniversary of the end of WWII, the Olympic Games and the Queen’s reign.